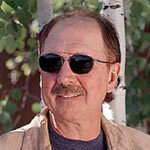 David Morrell is the New York Times bestselling author of twenty-eight books, including his award-winning Creepers. Co-president of the International Thrillers Writers Organization, he is considered by many to be the father of the modern action novel. David resides in Santa Fe, New Mexico.